KANSAS CITY, Mo. — Longtime coach Lute Olson and the late Rick Majerus headline the 2019 class of six former players and three influential coaches selected Tuesday for the College Basketball Hall of Fame. Joining them during the induction ceremony this November are former Indiana star Calbert Cheaney, Duke’s Shane Battier, Purdue’s Terry Dischinger, Ernie DiGregorio of Providence, UNLV‘s Larry Johnson, Stanford standout Todd Lichti and longtime Valparaiso coach Homer Drew. 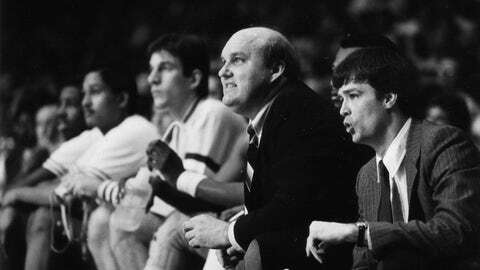 An assistant at Marquette under Al McGuire and Hank Reynolds from 1971-83, Majerus was the head coach from 1983-86, compiling a 56-35 record.